Japanese teens are looked up to by young people in other countries because of their unique and innovative fashion style. They have their own way of wearing non-traditional clothes that are considered trendy and those that stand out from the crowd. In fact, even young celebrities follow their fashion styles. Lower temperatures in fall and winter means now is the perfect time to start shopping for a new coat. Different trends of coats are always in fashion but finding that perfect coat for your body shape will compliment your overall style. Shapes, colour and lengths can all be taken into consideration when shopping for a coat that is going to flatter your body type. Here are a few pointers on what styles will suit your body shape. Narrow body frames will suit long tailored coats, such as this Reiss Margo Coat. Shorter styles are best avoided as they can make the body look longer. Boyish frames should opt for peplum styles, belted or military trends. Bright colours can also add the appearance of curves to a smaller frame as do ponchos and layers. Bulky shaped coats on the other hand can swallow a boyish frame. Curvy figures look beautiful in belted and flared coats. These create an illusion of a smaller waist and balance the figure. Baggy styles are ones to avoid for curvier shapes as these can make the body appear larger and shapeless. Petite women should consider coats that sit just above the knee. 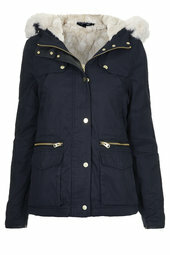 Many stores offer styles tailored to petite shapes, such as this Topshop Parka Jacket. Petite shapes should avoid bulky styles and longer length coats, which will swamp smaller frames. If you’re pear shaped (smaller on top) then coats with details are the ones to look for. Styles that feature a fur collar or embellishment around the neck, detract from a larger waist. Similarly, double breasted styles and coats that are belted, help to balance the shape of your body and make the hips look smaller. Finding a great coat can be time consuming but knowing which styles to go for makes it much easier to find something that will enhance your best features. Our guide on how to shop for the right clothes can also help with your search. From Gangnam Style going viral to Michelle Obama tweeting about making kimchi, Korean culture has taken the world by storm. In the world of fashion, in particular, Korea has in recent years come to mean much more than just bubblegum K-Pop style. Korea has definitely come a long way in the fashion scene, and we think it’s wonderful to celebrate the unique creativity and talent of a country that’s been in the news so much lately for negative issues such as Korean comfort women and North-South Korean tensions. Beanpole’s casual clothing and accessories feature clean, modern lines, impeccable tailoring, and muted colors. This affordable brand is brought to us by an affiliate of the Samsung Group. Makers of beautifully crafted eyewear, Gentlemonster frequently collaborates with other brands and designers. 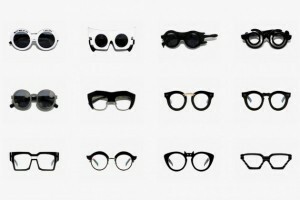 Their collections of sunglasses and glasses feature different styles, both vintage and modern. For that “underground” look, you can’t go wrong with thisisneverthat- which is best known for dressing famous Korean rappers in their hoodies and crewneck shirts. TNGT, or The New Generation Trend, features very hip (note: we didn’t say hipster) clothing for men and women. Very popular for their bag designs, which are a great blend of both fashionable and functional. Positioned as a high-end streetwear brand, Lucky Chouette elevates fun, young fashion full of bold colors and texture. 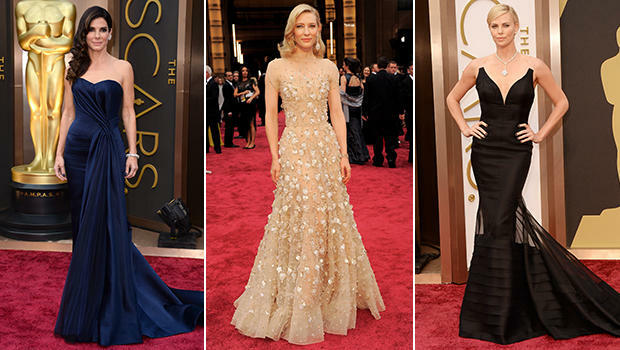 The Academy Awards ceremony, widely known as the Oscars, is one of the most highly visible fashion events of the year. Only the most fashion-conscious scour the online photo galleries from every runway show during Fashion Week. Most people don’t get to see these top-of-the-line gowns until actresses wear them on the red carpet. If this year’s red carpet is indicative of the direction the coming year’s trends will take us, it would appear that fashion is hewing closely to subtle femininity.